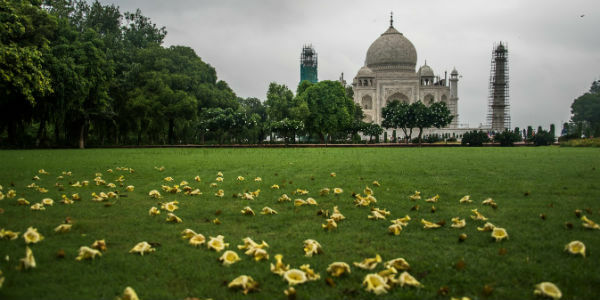 Usually, during the winter months, western parts of Uttar Pradesh as well foothills receive scattered rains in the wake of moving Western Disturbances and their induced cyclonic circulations. During the last 24 hours, isolated rains occurred over the eastern parts of the state. However, overall amount of recorded precipitation in Uttar Pradesh is very less. At present, the entire state of Uttar Pradesh is experiencing day and night temperatures slightly above normal by two to three degrees. Significantly less rains can be tagged as one of the major reasons for fog-free days over the state throughout Winters until now. Less rainy days translate into lesser humidity which is essential for the formation of fog. Although dense fog appeared on few occasions over isolated pockets, but it did not last for long. Lack of fog resulted in higher day temperatures therefore ‘Cold Day’ conditions also remained absent in the entire season. Now, northwesterly cold winds have once again commenced over Uttar Pradesh which has resulted in drop in minimums over western parts such as Bareilly, Meerut, Muzaffarnagar. Gradually, temperatures will start falling over eastern and central Uttar Pradesh as well. Weather is expected to remain dry for at least next one week following which rains are expected to commence over West Uttar Pradesh around January 21. Gradually, central districts of the state will also receive rain. This rain is expected to continue until January 24. Reason for these Winter rains can be attributed to the induced Cyclonic Circulation over Rajasthan which will move towards Eastern Uttar Pradesh causing rain activities. After this rainy spell, humidity is going to increase and thus fog can be observed. This will be the first significant rainy spell of the year over the state.